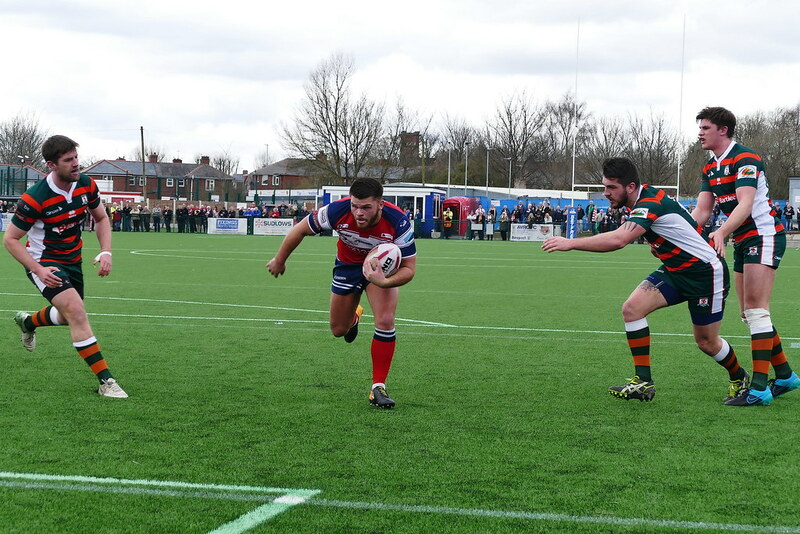 OLDHAM let slip a 16-6 lead midway through the second half to suffer their third defeat in five Betfred League 1 outings. They rallied from that, scored three converted tries in 15 minutes of madness for Oldham, and ran out fully deserving 24-16 victors. 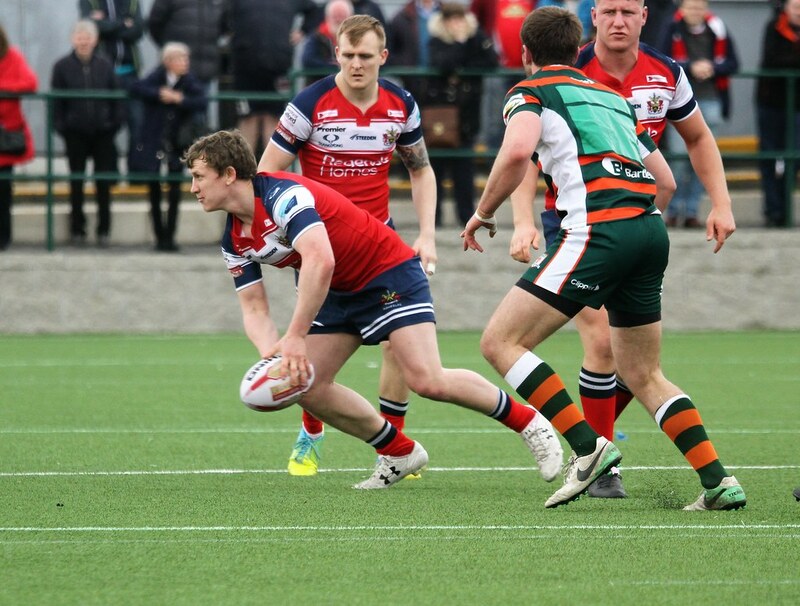 They were the better side overall, scoring four tries to Oldham’s three and completely dominating the last 20 minutes to score converted tries by Duane Straugher, Niall Walker and Jack Blagbrough. Scott Naylor’s men fell away badly after the ‘no try’ ruling against Briscoe, while Hunslet were lifted by it and went on to take the game by the scruff of the neck thanks to their lively half-backs Joe Sanderson and Cain Southernwood, a strong-running left winger in Walker and a big pack in which Straugher, Blagbrough and Lewis Reed were outstanding. There was little sign of what was to come when Roughyeds went 12-0 up with tries either side of half-time by Dave Hewitt and Danny Langtree, both improved by Paul Crook. On half an hour Gareth Owen took the field for the first time since he damaged a foot ten months ago and he was quickly into his stride from dummy half. Briscoe went close on a strong drive and Owen moved well from dummy half before feeding Hewitt, who shaped to go left, moved inside instead and went behind the posts. Paul Crook added the goal and Oldham went in at half-time with a 6-0 lead which was quickly doubled on the resumption when Briscoe again tested the visitors goal-line defence before Crook chipped and Langtree won the touchdown race. 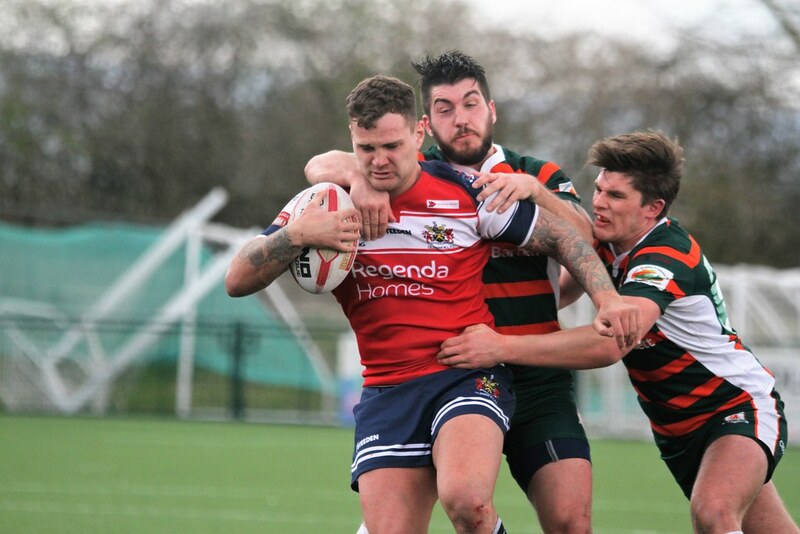 Oldham continued to press forward but for the second game in a row they were undone because they failed to nullify their opponents full-back, whose break on the counter-attack led to Hunslet’s opening try. Last week it was Greg McNally at Bradford, this time it was Jimmy Watson.He raced straight through Oldham’s defensive line and from that strong position Southernwood kicked for the far corner and Walker took the high ball on the full at speed to score at the flag. Sanderson goaled, game on. It soon looked to be ebbing away from Hunslet when Hewitt backed up at speed to score his second try after good work by Owen and Adam Jones. 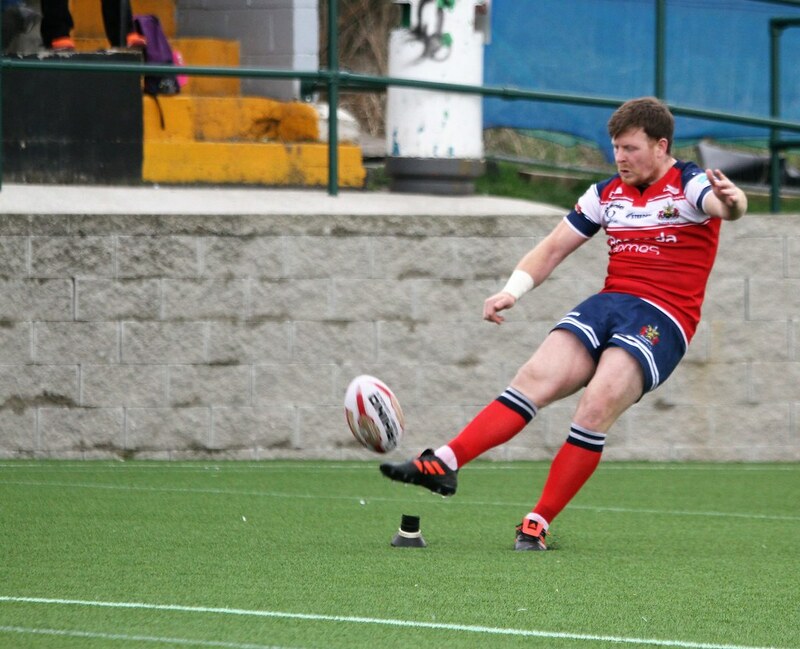 Crook’s conversion attempt hit a post and bounced out, but Roughyeds still had opportunities to put the game to bed before the visitors began their quest for glory. They pulled back to 16-12 with the Straughan try, goaled by Sanderson, and five minutes later they took the lead for the first time with the best try of the game — a real beauty in which Joshua Jordan-Roberts, son of ‘Two Bobs’, unleashed winger Walker at half way. He went on the outside of home full-back Kyran Johnson, pushed him away and scored a length-of-the-field stunner, which Sanderson converted for an 18-16 lead. 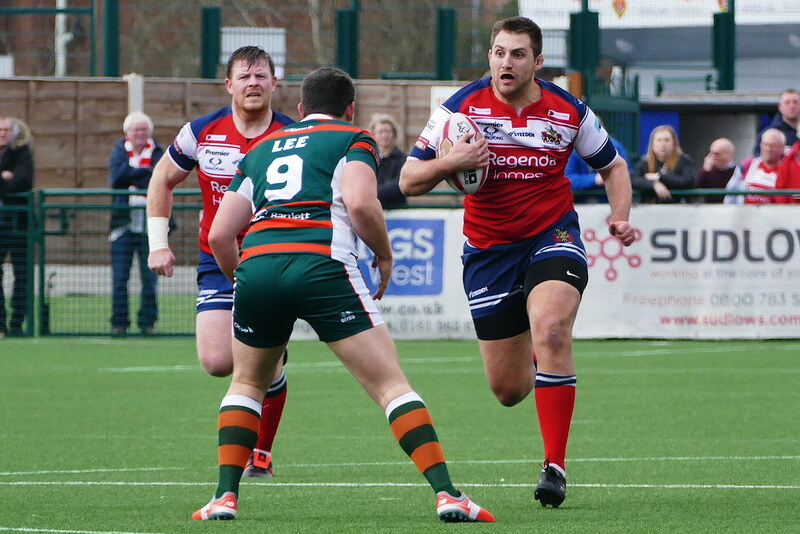 Oldham had their moments when trailing only 16-18 but Hunslet made the game safe with a strong try by prop Jack Blagbrough and Sanderson’s conversion. OLDHAM: Johnson, Eccleston, Holmes, Reid, Nield; Crook, Hewitt; Joy, Wilkinson, Neal, Bridge, Langtree, Spencer. Subs: Owen, Jones, Briscoe, Nelmes. 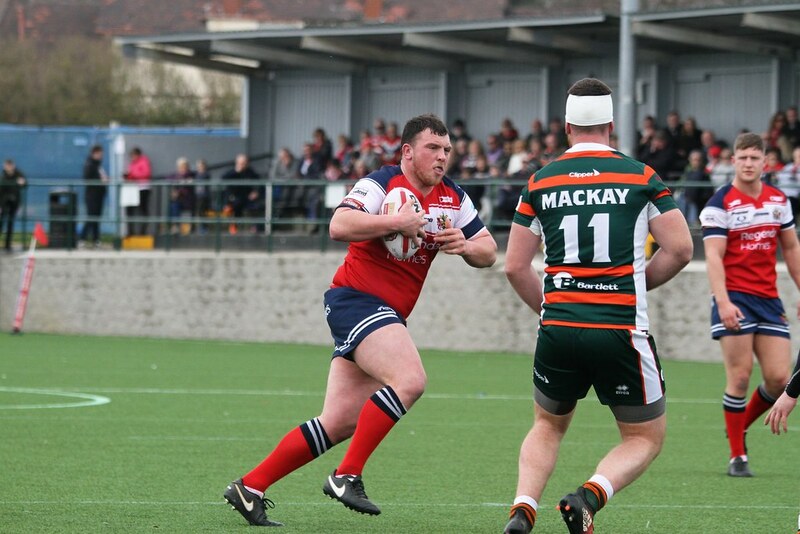 HUNSLET: Watson; Foggin-Johnstone, Cowling, Ashton, Walker, Sanderson, Southernwood; Nicholson, Lee, Blagbrough, Jordan-Roberts, Straugher, Mackay. Subs: Halmshaw, Chandler, Reed, Coventry. Ref: Marcus Griffiths; Att: 544.